OMG, I usually really really abhor rodentia, but that little guy is kinda cute! 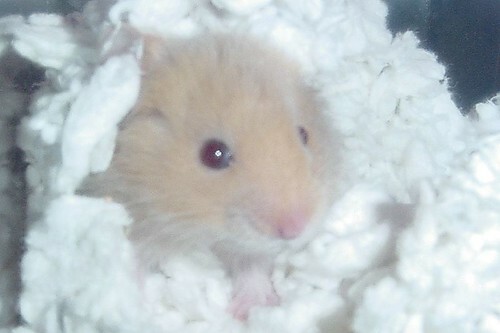 Have you seen www.hamsterster.com? Like Dogster, only for hamsters. Check it out! Thanks everyone! Oh Jen, I scurried right over to Hamsterster and set up an account! Yikes!